What is a 45 degree steel elbow? Elbows are a part of a piping system that redirects the flow of what is running inside the pipe. Whether it is gas, LPG or water, when an elbow is used to connect pipes, it means the flow is redirected in a certain degree. There is a 45, 90 or 180 degree elbows that are commonly used in every construction of a structure. 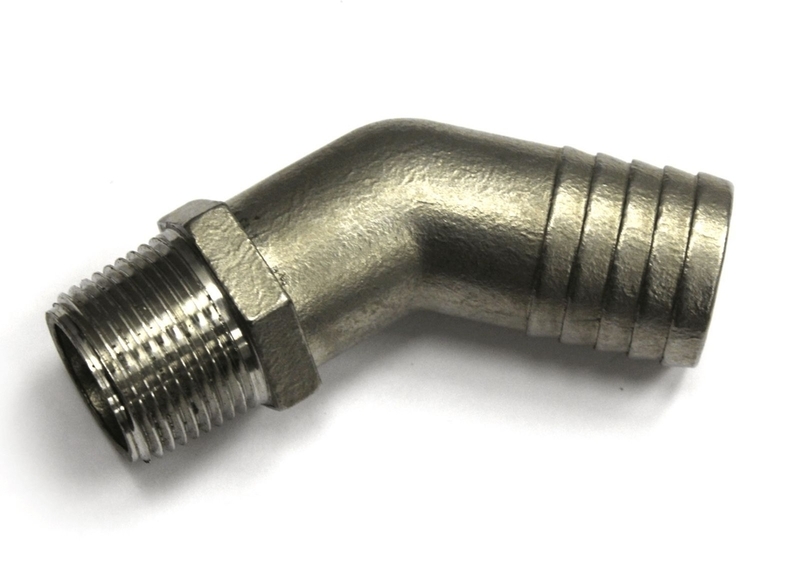 This particular elbow is commonly used to redirect the flow to a 45 degree turn, to connect a certain pipe in that location. It can be that the water or gas needs to flow in a certain part of the building, from the location of the main pipe. Pipes are usually used in delivery of water or gas within the building from its source. The bigger the building, the more complex is the piping system. And the more complex it is, the more pipes are to be connected to each other. One of the parts used to interconnect these pipes in the system is a 45 degree steel elbow. a. Buildings. As mentioned above, buildings are one of the structures that used piping to bring most water from one room to the other and from one floor to the other. Sometimes, pipes are used for the sprinkler system of a building. b. Bridges. In some cases, bridges are using pipes to allow water to cross thru it, going to the opposite end. c. Chemical plants. In chemical plants, piping system are also using 45 degree steel elbows, to allow the flow of chemical going to the delivery tankers from the manufacturing plants. This is to avoid maximum exposure to the environment. d. Oil industries. In the oil and gas plants or in the offshore industries, steel pipes are commonly used to transport and deliver their products to the tankers. e. Ships. In ships, pipes are fitted to allow the property flow and delivery of water and gas to various parts of the ship. Why 45 degree steel pipes or elbows? 1. Toughness. Steel materials are tough enough to whether any kind of weather and environmental conditions. 2. Hardiness. It is also considered hard enough to withstand constant hitting with other objects in the environment such as rocks and some hard objects that may cause damage to it, such as leakage. 3. Strength. It has the strength to withstand the pressure from within. A 45 degree steel elbow, just like the 90 and 180 degrees steel elbows are very important in the piping system. It dictates the flow of water or gas within the pipe. Its use depends mainly on the design of the system, which is done by professional plumbers and engineers, who created the designs, making sure of the delivery of its contents, uninterrupted and with lesser pressure. Forging Bamboo From Steel Pipe! The delicate art of turning steel pipe into bamboo! This was the first demo I ever saw at the Fiddlers Grove Blacksmith Association, Demo was by Dean P.